Charakter: VARIETALS: 85% Sangiovese, 15% Colorino, Cabernet Sauvignon, Merlot. VINEYARDS - Place of production: The grapes for the production of Riserva Ducale Oro come the Ruffino estates of Santedame, Montemasso and Gretole, located in the most prestigious production areas of Chianti Classico. Hilly land with poor soil of mixed clay and sand, generally rich in skeleton. Microclimate: Variable for the different areas, but generally characterized by hot and dry summers with high day-night temperature swings which favour an optimal maturation process of the grapes. Altitude: 350 to 470 meters above sea level Exposition: Variable, with predominance of south, south-west and south-east exposition. The low positioned valley areas have been excluded because they are considered to be too fertile. Growing system: Cordon trained Vine density: 3300 - 5000 plants/hectare Age of vineyards: Variable. The older vineyards date back to 1975 but most of the vineyards have been replanted and have a modern planting system. SENSORY PROPERTIES - Colour: Ruby red with garnet hues Aroma: Intense and characteristic with an inviting bouquet of violets, small red berry fruits and ripe plums well accompanied by intriguing spicy notes of cinnamon, cloves and vanilla. The finish displays ethereal sensations and a delicately balsamic touch. Tasting profile: The Riserva Ducale Oro vintage 2000 displays a noteworthy elegance and texture with a full-bodied, well-balanced structure, velvety tannins and a pleasantly sweet taste. The fruity notes lead the way towards a long-lasting aftertaste of cocoa and coffee. THE RISERVA DUCALE ORO IS AN EVOLUTION OF THE "CHIANTI STRAVECCHIO" FIRST PRODUCED IN 1927. "Gilbert & Gaillard" has rated the wine "Ruffino Riserva Ducale Oro-Gold, Chianti Classico Gran Selezione DOCG, Italy" from the vintage 2010 on 14.07.2014 with 90 of 100 points.
" Intense ruby. Expressive nose of cherry, blackberry, bark and undergrowth capped off with mellower aromas of cinnamon. Harmonious on the palate, offering elegant, silky tannins and a long, fresh finish. " "Gilbert & Gaillard" has rated the wine "Ruffino Riserva Ducale Oro-Gold, Chianti Classico Gran Selezione DOCG, Italy" from the vintage 2008 on 20.07.2013 with 87 of 100 points.
" Deep ruby. Expressive nose blending wild black fruits and a menthol touch. Fresh, clearly-defined palate with well-integrated tannins. Clean, lingering finish. Enjoy with food. " 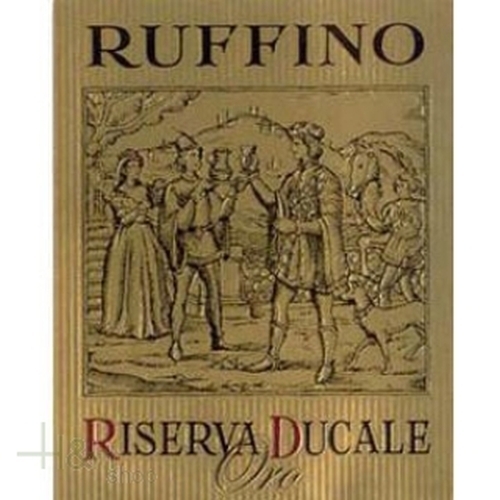 "Jeannie Cho Lee" has rated the wine "Ruffino Riserva Ducale Oro-Gold, Chianti Classico Gran Selezione DOCG, Italy" from the vintage 2005 on 25.11.2012 with 70 of 100 points.
" Evolved, tired flavours which were probably lifted and more complex in its youth. Over the hill. Tasted in: Hong Kong, China. Maturity: Drink. " "Luca Gardini" has rated the wine "Ruffino Riserva Ducale Oro-Gold, Chianti Classico Gran Selezione DOCG, Italy" from the vintage 2012 on 01.04.2017 with 87 of 100 points. "Decanter World Wine Awards" has rated the wine "Ruffino Riserva Ducale Oro-Gold, Chianti Classico Gran Selezione DOCG, Italy" from the vintage 2012 on 01.01.2017 with 91 of 100 points. "Falstaff Magazin" has rated the wine "Ruffino Riserva Ducale Oro-Gold, Chianti Classico Gran Selezione DOCG, Italy" from the vintage 1958 on 07.09.2016 with 96 of 100 points. "Falstaff Magazin" has rated the wine "Ruffino Riserva Ducale Oro-Gold, Chianti Classico Gran Selezione DOCG, Italy" from the vintage 1988 on 07.09.2016 with 94 of 100 points. "Falstaff Magazin" has rated the wine "Ruffino Riserva Ducale Oro-Gold, Chianti Classico Gran Selezione DOCG, Italy" from the vintage 1977 on 07.09.2016 with 94 of 100 points. "Falstaff Magazin" has rated the wine "Ruffino Riserva Ducale Oro-Gold, Chianti Classico Gran Selezione DOCG, Italy" from the vintage 1999 on 07.09.2016 with 90 of 100 points. "Luca Gardini" has rated the wine "Ruffino Riserva Ducale Oro-Gold, Chianti Classico Gran Selezione DOCG, Italy" from the vintage 2011 on 01.07.2016 with 92 of 100 points. "Wine Spectator" has rated the wine "Ruffino Riserva Ducale Oro-Gold, Chianti Classico Gran Selezione DOCG, Italy" from the vintage 2011 on 30.04.2016 with 90 of 100 points. "Wine & Spirits Magazine" has rated the wine "Ruffino Riserva Ducale Oro-Gold, Chianti Classico Gran Selezione DOCG, Italy" from the vintage 2011 on 01.04.2016 with 90 of 100 points. "Falstaff Magazin" has rated the wine "Ruffino Riserva Ducale Oro-Gold, Chianti Classico Gran Selezione DOCG, Italy" from the vintage 2011 on 12.02.2016 with 92 of 100 points. "Wine Enthusiast" has rated the wine "Ruffino Riserva Ducale Oro-Gold, Chianti Classico Gran Selezione DOCG, Italy" from the vintage 2011 on 06.01.2016 with 90 of 100 points. 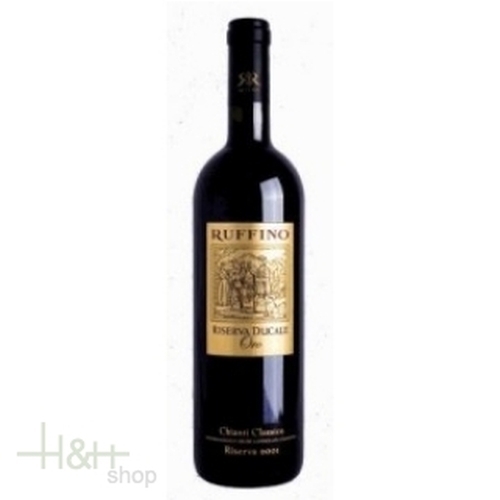 "Wine & Spirits Magazine" has rated the wine "Ruffino Riserva Ducale Oro-Gold, Chianti Classico Gran Selezione DOCG, Italy" from the vintage 2010 on 01.04.2015 with 88 of 100 points. "Wine Enthusiast" has rated the wine "Ruffino Riserva Ducale Oro-Gold, Chianti Classico Gran Selezione DOCG, Italy" from the vintage 2010 on 07.01.2015 with 91 of 100 points. "Wine Spectator" has rated the wine "Ruffino Riserva Ducale Oro-Gold, Chianti Classico Gran Selezione DOCG, Italy" from the vintage 2010 on 15.10.2014 with 91 of 100 points. "Vinous Antonio Galloni" has rated the wine "Ruffino Riserva Ducale Oro-Gold, Chianti Classico Gran Selezione DOCG, Italy" from the vintage 2009 on 01.09.2014 with 90 of 100 points. "Falstaff Magazin" has rated the wine "Ruffino Riserva Ducale Oro-Gold, Chianti Classico Gran Selezione DOCG, Italy" from the vintage 2007 on 15.02.2013 with 91 of 100 points. "Wine Spectator" has rated the wine "Ruffino Riserva Ducale Oro-Gold, Chianti Classico Gran Selezione DOCG, Italy" from the vintage 2007 on 15.10.2012 with 91 of 100 points. "Wine Enthusiast" has rated the wine "Ruffino Riserva Ducale Oro-Gold, Chianti Classico Gran Selezione DOCG, Italy" from the vintage 2007 on 10.01.2012 with 92 of 100 points. I am a real fan of the Italian Wines and this one is one of my favorites, not just because of its good body but for its taste and perfume also. Torrione - 2008 - tenuta di Petrolo 30,90 EUR / 41,20 €/lt. Chianti Classico Riserva Ser Lapo DOCG - 2012 - Castello Fonterutoli 29,05 EUR / 38,73 €/lt. Rubrato Irpinia Aglianico - 2013 - winery Feudi di San Gregorio 15,25 EUR / 20,33 €/lt. I am a real fan of the Italian Wines and this one is one of ..